Montreal is the largest City in Quebec with KOAs and other camping sites dotting the outskirts of the primarily French-speaking city. In searching for the best of the best, this is what was found. This is one of two KOAs around Montreal, with this being the closest. As a KOA, most travelers love the convenience of being able to pull in, set up on a site in a short time and enjoy the KOA’s facilities. There are camping sites for tents, a few for tents with electricity, a few one-room family cabins, and several RV sites that offer 20-Amp to 50/30-Amp full hookup pull thru. KOA has a playground for the children, a swimming pool, onsite convenience store, community hall to socialize, and a place to take the canines for a run. You can purchase firewood or play putt-putt golf without leaving the campgrounds, but if you feel the need to explore, you are 15-minutes from Montreal. This is a campground for the seaworthy. The marina is part of the Archipelago Park program. When highway 132 was built in the 1960s, it cut off many of the accessible parks along the bank. 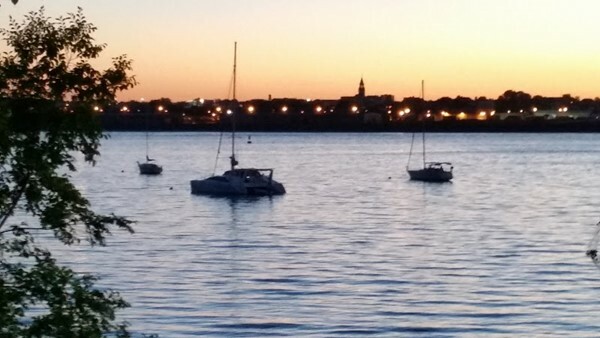 Longueuil’s Marina Port de plaisance Réal-Bouvier is 9.1 kilometer (5.65 miles) from Montreal. 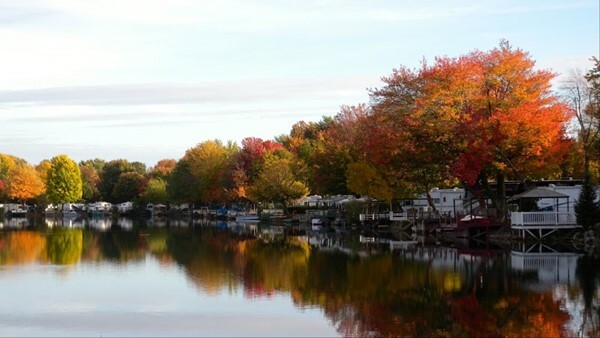 The marina is set up much like any other, with the exception that it is the main part of Longueuil’s park system and docking at this facility is similar to an RV park. There are 400 berths, with electricity, drinking water, showers, toilets, and laundry facilities available. Once the visitor(s) disembark their vessel, they have access to Longueuil’s restaurants, bars, grocery stores, and shops by way of a pedestrian access. There are also bicycle trails, picnic areas and walking trails as a part of the park system. This is the resort for the RV crowd and it does not matter whether you have your own or want to rent one. Camping Alouette is an extraordinary RV campground that feels more like a second residence or your summer home if it were not for small reminders. It looks and feels more like an upscale resort. There are activities on site to help you spend your days relaxing, like fishing, golfing, and hiking, swimming at the pool and taking the kids to the playground. If you want to go downtown, there is a shuttle. There are services available for visitors, including internet access, common room, convenience store and laundry facilities. 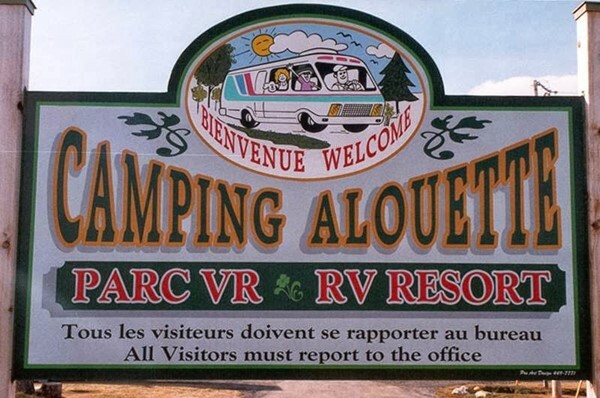 There are 402 sites in the campground and it is 34 kilometer (21.13 miles) from Montreal. This National Park is just 20.1 kilometer (12.49 miles) from Montreal and sits in the middle of the St. Lawrence River. 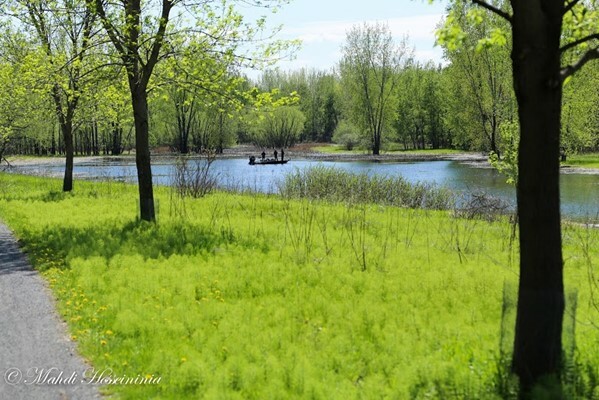 There are five islands that make up the Parc national des Îles-de-Boucherville. Seasonally, there is activities range from snow hiking, Nordic Skiing, wildlife viewing, sea kayaking, and rabaska canoeing. There are also things to discover within nature such as the seasonal observation of training birds, ducks in migration, fishing introductory course and an animation Native American hunt, as a few examples. Just 52.5 kilometer (32.62 miles) from Montreal, Camping L’Escale is 40-minutes away, just on the other side of the Lac des Deux Montagnes (Lake of Two Mountains). It is mainly an RV park. They rent out lots by the season and tourists by the night or week for pull thru, with a few spots for tent pitching. There are 225 lots with available service of 15 to 30-Amps for RVs. The park hugs a crystal clear lake with 50% of the campers having a site at the lake’s edge. There are a children’s park and playground and a place for adults to play volleyball and bocce. There are special activities that are scheduled and include things like; flea markets, movie nights, parties, and dances. They also have Santa visit in July! They are open seasonally from mid-April to mid-October.